An early point deduction was rendered meaningless as Max Griffin came away with a majority decision over Zelim Imadaev at UFC 236. 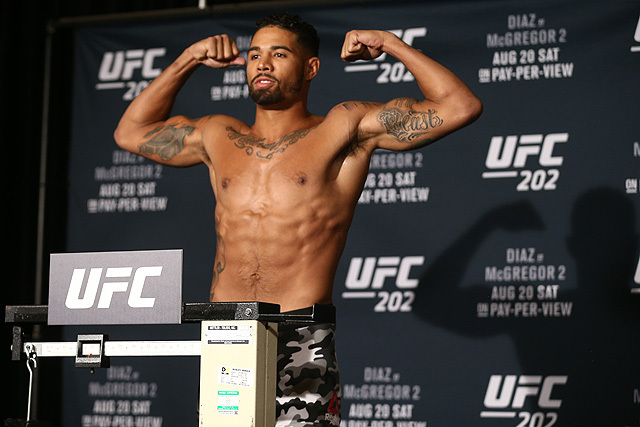 Max Griffin is an exciting welterweight looking to snap a two-fight losing streak at UFC 236. The Californian was 12-2 when he was signed by UFC to make his debut against top welterweight contender Colby Covington. Griffin is 2-3 with a win over Mike Perry. He’s coming off a tough loss to veteran Thiago Alves. Zelim Imadaev, a top Russian prospect, will be making his promotional debut at UFC 236. Imadaev is 8-0 with all of his wins coming via stoppage, five of which have come in the first round. He’s knocked out his last three opponents in the first round, including a 13-second knockout in his last appearance. Fight Nights Global has been the home of his last three appearances. The fight got off to an interesting start. Max Griffin attempted to take Imadaev down along the cage but was stopped by Imadaev holding the fence. The referee took exception to this and took a point away very early in the fight. Griffin was able to get a takedown after action resumed and spent the majority of the round on Imadaev’s back, hunting for a rear-naked choke. After getting to the feet, Imadaev nailed Griffin with a spinning elbow, then nearly landed a wheel kick. Griffin survived the rest of the round in the clinch against the cage. Max Griffin’s wrestling was the story of the second round, as he was able to get Imadaev down repeatedly at will. However, this took a toll on him as he was visibly tired near the end and was rocked on the feet by his opponent. Imadaev landed several hard shots to the body and a knee to the head, but Griffin survived again. Both men did what they wanted in the final round. Imadaev was able to land heavy shots on the feet, but Griffin’s wrestling helped him avoid serious damage. The majority of the round was spent in the clinch, and both fighters threw shots with bad intentions as time expired. Danny is a 2017 graduate of Ithaca College's Sport Media program. He has been an avid fan of mixed martial arts since watching the UFC’s 100 Greatest Fights special on Spike TV back in 2009. Shortly following UFC 100, Danny’s Saturdays, and most of his free time, became dedicated to the Ultimate Fighting Championship. Most recently, Danny served as the Media Relations and Broadcasting Assistant of the Long Island Ducks baseball team and is looking to make his next step in his broadcasting career. 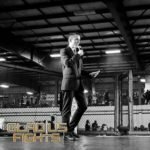 Along with fellow Cageside Press writer Heath Harshman, Danny hosts a weekly MMA podcast, Throwin' Elbows MMA.